Pitt reeled in its third commit for next year's basketball class in SF Durand Johnson. He was recruited by Brandin Knight. As mentioned on ZagsBlog a few weeks back, Johnson was down to six schools. 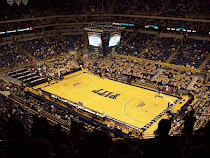 With the departures of Brad Wanamaker, Gary McGhee, and Gilbert Brown, Pitt is expected to only have three openings, so this might be it for the 2011 recruiting class. If it is, Pitt will not have landed a frontcourt player among its three commits - Durand, G-John Johnson, and SF-Jaylen Bond. That would be the second season in which Pitt did not pick up a PF or center. It also could mean that Dante Taylor remains at center if he sticks around next season unless J.J. Richardson can take hold of that position. As for Johnson, he's a three-star recruit as rated by both Rivals and Scout. Rivals lists him in their top 150 prospects, but ESPN.com does not, instead grading him at 91 (must be an Insider to view). It's interesting that you not only hear this so much during the recruting, but also when the guys actually get to the team. You always hear the players talk about family and I think the recruits pick up on that during visits, from the players, and in reading up quotes in the media by other recruits. Johnson reportedly had more than twenty offers from schools including Georgetown, Xavier, Louisville, and Maryland, among others. 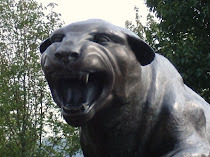 Back to the point about Pitt potentially finished with recruiting. I'm okay with it. While Pitt could have used frontcourt help, they weren't desperate for it. They still have Taylor, Richardson, Talib Zanna, and Nasir Robinson for 2011-12. If Taylor happens to bolt this season, that would open up another scholarship. Maybe Pitt felt it didn't have a strong enough shot with any of the top big men left in this class. I don't mind them going after the sure thing in Johnson. The other option is that Pitt goes over the limit again as they did last season and someone transfers. I've heard Dixon doesn't like doing this, so for him to do it two seasons in a row might be a stretch.